IRESE offers new opportunities to earn commissions for mortgage bankers, mortgage brokers, real estate agents and brokers, and financial advisers. When you broker Home Equity Protection Plan underwritten through IRESE, you earn commissions at origination and on renewals. Homeowners are continue to wonder what is going to happen to the value of their home? More than 100 million American households make this dinner conversation every week. IRESE offers Home Equity Protection Plan to protect your client's home equity. Homeowner plans to sell in 7 years and needs to preserve the down payment and protect the equity made in their home. 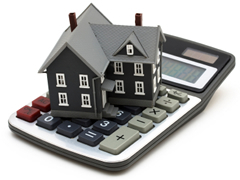 When you originate Home Equity Protection Plan at IRESE, you earn commissions at origination. For example, if the cost is $5,000, your commission is up to 10% depending on the volume, and at 10% is $500. When Home Equity Protection Plan is renewed, your commission is up to 5% and if the cost is $6,000, your commission is $300. Homeowner exposure to real estate market price fluctuation is minimized with Home Equity Protection Plan. How does Home Equity Protection Plan work? Learn more about Home Equity Protection Plan from Property Owner perspective.